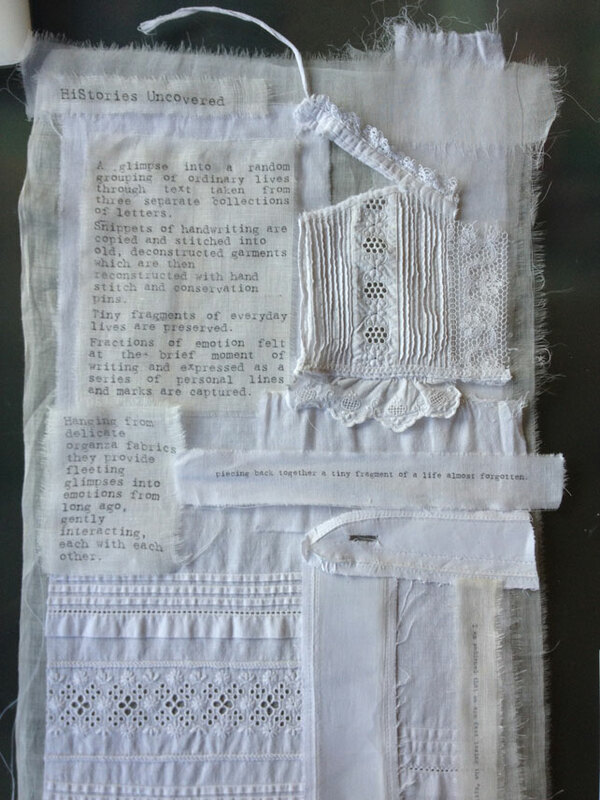 A lovely day creating small hand stitched story samplers inspired by a favourite piece of ‘handwriting’ and treasured swatches from my collection of vintage needlework samples. Just perfect for lovers of vintage! During the day you will have the opportunity to print your chosen piece of writing onto fabric using an inkjet printer and this will become the starting point for one of your samples. You may also wish to include a photograph printed on fabric. Because of time constraints, I will prepare and print these in advance of the workshop – you’ll receive details of how to send your image to me nearer the time. 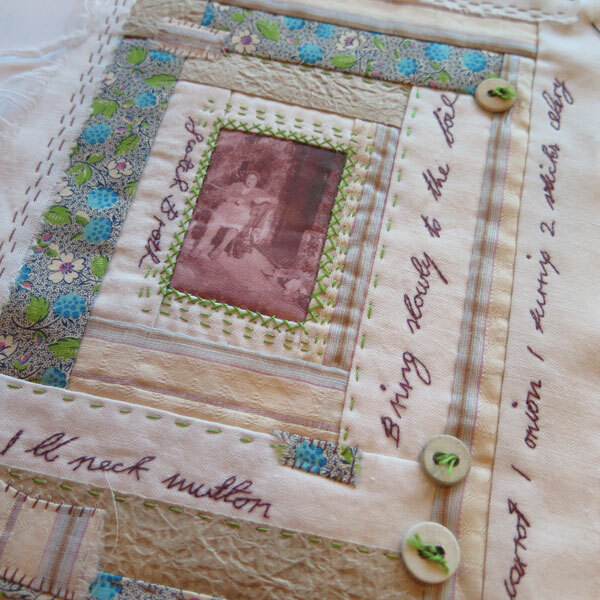 You’ll be working with a fabulous selection of vintage and used materials from my studio such as – old handkerchiefs, vintage table linens, 1940’s floral fabrics, fragments of a Victorian nightdress and whatever else comes to hand. By using old and used materials we are bringing their stories to the piece too! 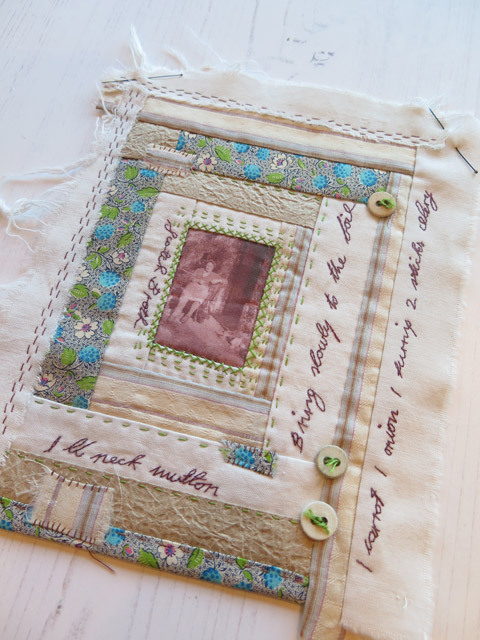 I’ll show you a variety of techniques & stiches inspired by my vintage collections and show you how to ‘build’ a small sampler. 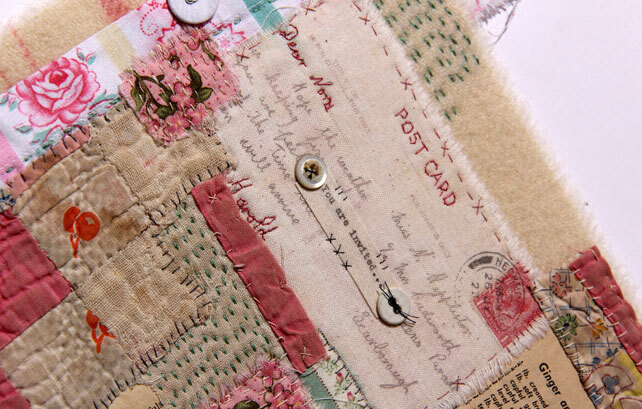 Don’t worry if you’re not an experienced stitcher – running stitch and cross stitch are all you need. 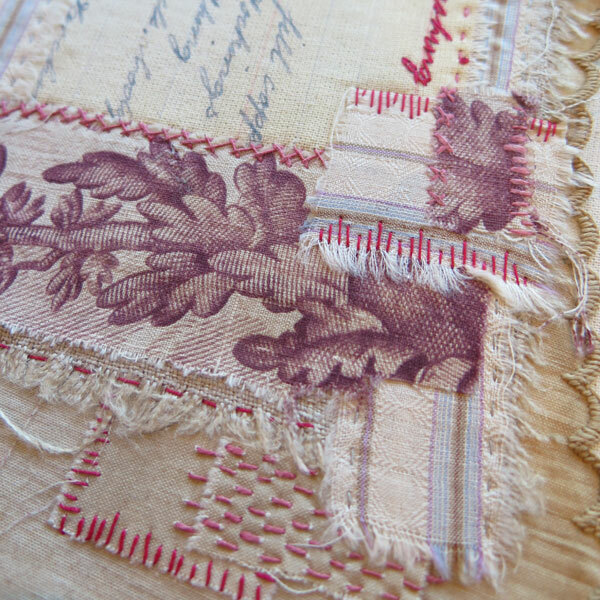 What’s more important is a love for using beautifully tatty & worn vintage materials and patience. 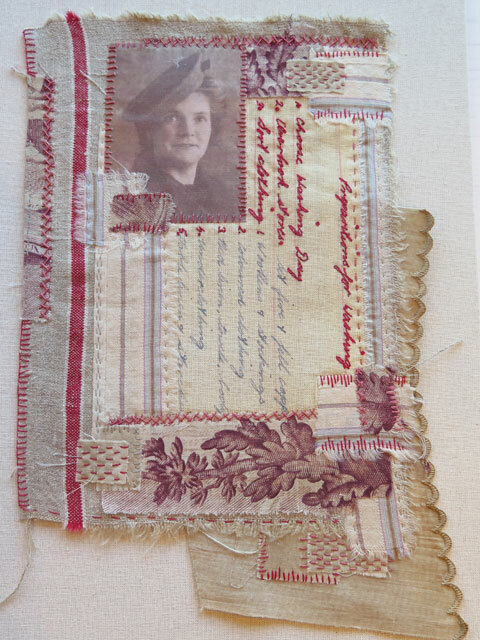 You will work on two small samplers throughout the day. 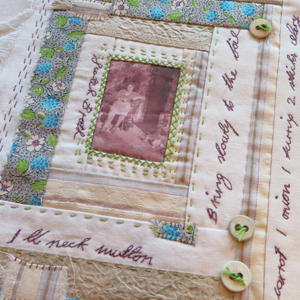 You will not finish these during the workshop – hand stitching is really slow! You’ll be given all the guidance you need to finish at home and you’ll leave with a gorgoeus project to work on and enjoy in your own time. Don’t worry if you don’t have time to look things out – you can turn up completely empty handed. I’ll bring a great collection of old pieces of text & printed vintage photos for use.